Technology is a powerful thing. While it can make our lives easier, it can also have a few negative effects on us every now and then - particularly on our sleep quality. Staying up late into the night watching Netflix on a small, bright screen might be entertaining, but it isn't all that productive for top quality sleep. The solution? More technology. With sleep apps and trackers becoming more popular, many companies are beginning to take more of in an interest in sleep-aid tech. 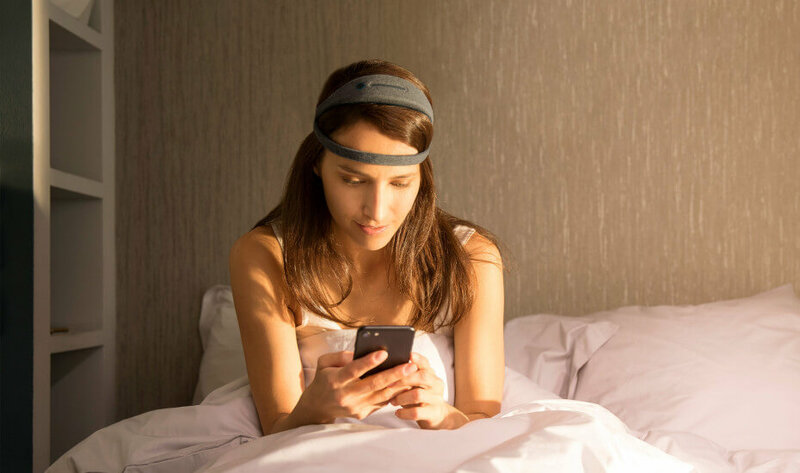 One such company is Rythm, the startup behind the "Dreem" - a wearable device that claims to "monitor, analyze, and act on your brain to enhance sleep." Whether or not it accomplishes that goal remains to be seen - the device isn't set to release until this Fall, and nobody has gotten their hands on it aside from select beta testers. However, the technology behind it looks promising. The Dreem has a built-in EEG system as well as bone-conducting audio. The EEG system is used to monitor brain activity to keep track of sleep cycles and play certain audio at the appropriate times, while the bone-conducting audio system sends the Dreem's sounds directly to your inner ear. Audio is at the core of the experience that the Dreem provides. The device will play peaceful tracks to help you relax, while also guiding you through various breathing exercises to sync your heart rate with your breathing. Certain features, and the volume of the audio, can be controlled via a touch sensitive bar running along the top of the device. Rythm claims this will prevent you from exposing yourself to your phone's blue light emissions in an effort to fiddle with the settings. The potential benefits of the Dreem are significant. Because the audio is piped directly to your inner ear, it won't disturb anyone else sleeping in the same bed or room, and it eliminates the need to wear headphones entirely. Dreem is the product of roughly three years of development, and plenty of beta testing. The device is now available for pre-order for $499. This definitely makes it one of the more expensive solutions to sleeping problems out there, but if it can deliver on its promises it might just be worth it.